A talented skilled forward equipped with size, plus length, and a high ceiling, Graham is really just starting to scratch the surface on his potential basketball wise. Very young for his grade, Graham is an excellent face up forward with a smooth perimeter stroke that allows him to rip the nets from beyond the arc consistently and efficiently. He sees the floor well, has shown an ability to hit the pull-up jumper, and he will finish around the basket on occasion. He picked up an offer from Rutgers last week. An explosive guard with athleticism, handles, and skill, Hunter can get to the basket with consistency off the bounce and he uses that same breakdown ability to create as well. 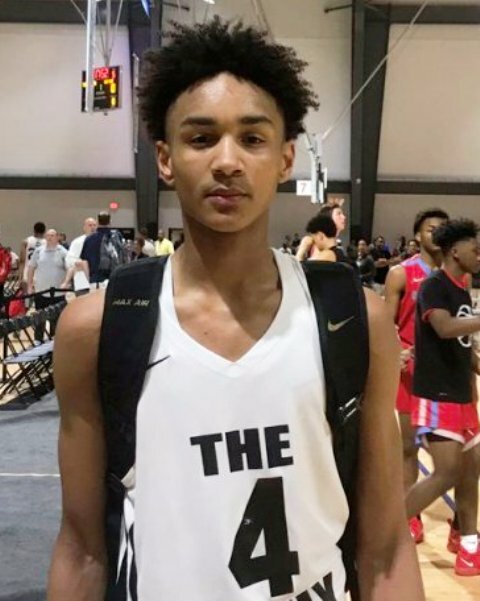 He can score from multiple levels and his athleticism combined with his skill set and instincts make for a highly intriguing up and coming sophomore in the state. His best basketball is in front of him. A talented guard who is really just beginning to develop skill wise, Johnson has nice size at 6-1 and he pairs that with plus length, quality instincts, etc. to make for one of the better kept secrets in the state. He’s still growing and developing physically so he’s going to bloom late in that regard but skill wise he handles the ball well, can create off the bounce, and he has the ability to rip the nets from beyond the arc, with the one-dribble pull up, and in the paint with floaters or just finishing through contact. Defensively he has solid instincts and length. One to watch closely. An aggressive scoring guard who can put the ball on the floor and rip the nets from multiple levels, Thompson is always looking to put the ball in the basket and he did that at a high level during his freshman year at Case. Equipped with nice size at 6-1 and a smooth stroke, Thompson will hit the trey ball off the catch, he can hit one dribble step back trey, he can finish at the mid-range off the bounce, and he will attack and finish through contact. Still developing on the physical size, Thompson is a pure scorer in the truest sense and he can take over the game when he’s in the zone. One of the better kept secrets in the state so far, Stargell is an ultra-quick max effort guard who is virtually unstoppable in a one on one capacity. He can break you down off the bounce, he has a quick first step, and his ability to blow by defenders to create or score is a weapon few possess in the state. Finishing wise he can hit the jumper with range that extends beyond the arc and he can get to the paint and finish creatively and consistently. Defensively his quickness and his hands make him a potential menace big picture wise. A solid up and coming sleeper so to speak in the state, Stargell is one to watch closely this season.